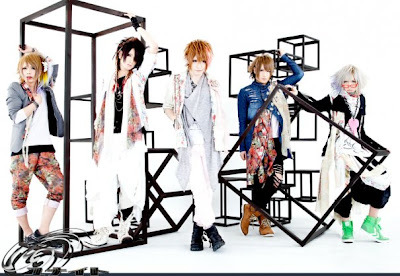 NTU Visual Arts Society News Blog: Top Visual Kei Bands from Japan to appear in Singapore! Top Visual Kei Bands from Japan to appear in Singapore! Both bands will be playing at the *SCAPE Warehouse at ....(wait for it)... *SCAPE, of course! Ticket prices are pretty cheap,at $138 for VIP tickets and $68 for a standard ticket. Which brings me to the nice guys who are bringing these awesome bands in - as you might have guessed, they are none other the founders of Asia's largest anime convention - Anime Festival Asia. The head honcho of Dentsu Singapore and SOZO decided that Singapore and the countries around it are severely lacking in proper Japanese music, and thus sought to remedy the situation. And so J-Live Asia was born. To date, J-Live Asia has brought in awesome groups like Flumpool and WEAVER, and looks set to bring in many other great bands. In fact, Alice Nine would be coming too - just not here, but over at Jakarta, where they will be performing together with MUCC and UNiTE.